Alternative moves through the world in a different way. Creating products people want to use every day; Alternative represents quality materials, durable construction and design clarity. 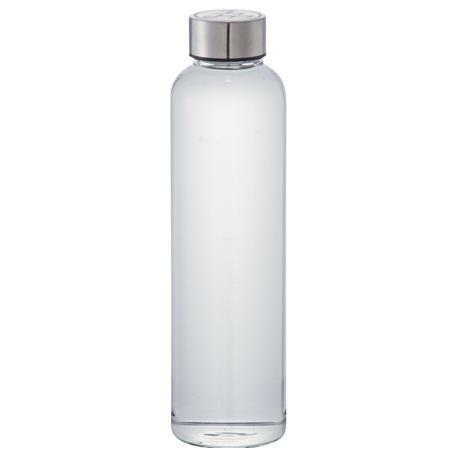 Bottle is made from borosilicate glass and features an 18/8 stainless steel cap on lid. 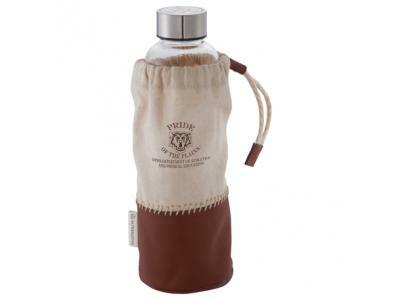 Protective pouch is made of cotton and leather with drawstring for the perfect fit. 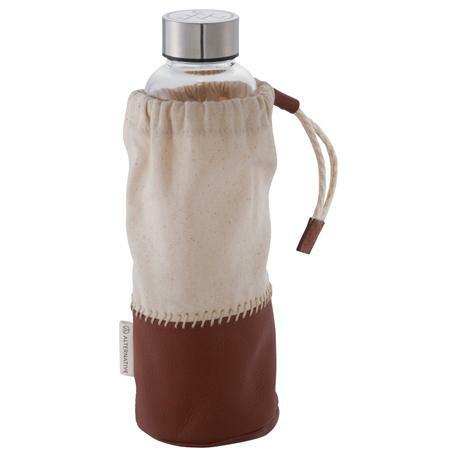 Alternative branding details include etching on cap and woven label on pouch. 18oz. Alternative branding details include etching on cap and woven label on pouch. 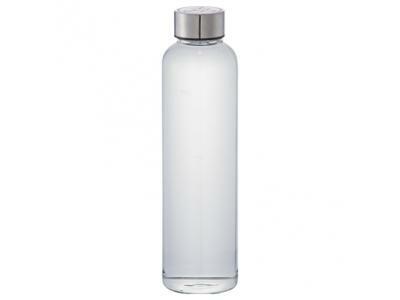 Bottle is made from borosilicate glass and features an 18/8 stainless steel cap on lid.